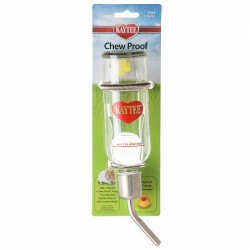 Kaytee Chew Proof Water Bottle is made of sturdy glass and a stainless steel sipper tube. 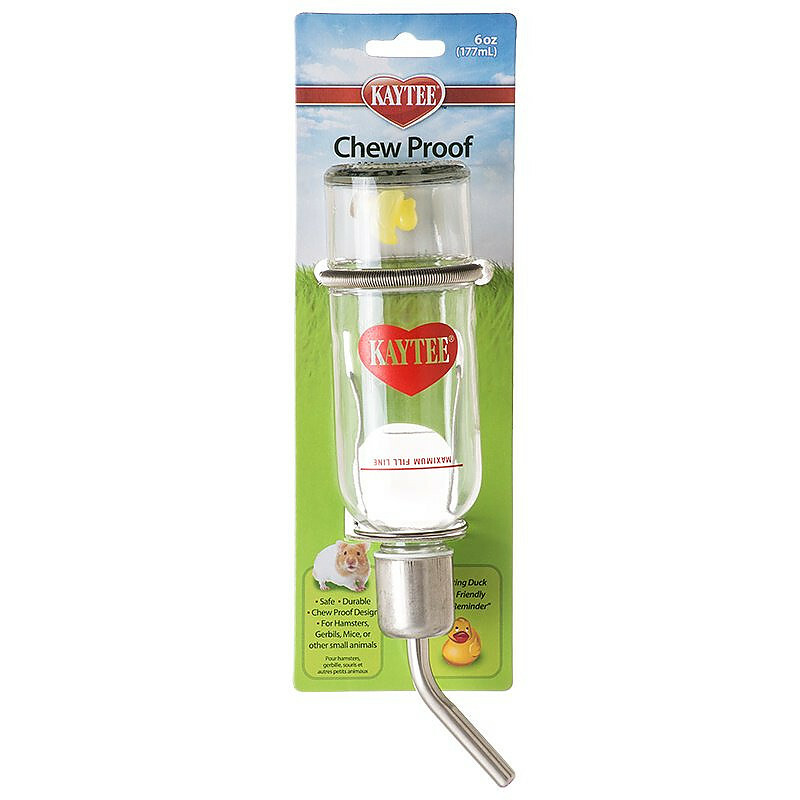 Includes a spring attachment hanger and a security hanger to safely hold the bottle to the inside or outside of the pet's (wire) home. 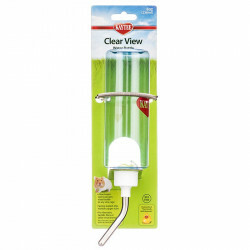 On most of these reviews, people seem to have been having trouble getting water to come out of this bottle. My situation is quite the contrary. It drips uncontrollably! Could not get the water to dispense properly. I replaced the sipper parts with others that I had and they seem to work better now. If your pet can't drink, the glass is not a benefit. Rabbits cannot chew holes in it. Will never buy a cheap plastic bottle again! 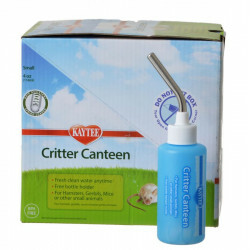 I've owned many rodents and have had issues with the plastic water bottles. I had one rat that kept chewing through her bottle, making a mess of her cage. After finding this, I have never gone back to the cheap plastic bottles! No more mess, or costly bottle replacements every few days! Rats, gerbils, bunnies, works great for all! Plastic water bottles present a huge problem when you have pets that chew! Not only is it expensive to replace them once the top has been chewed resulting in a soaked cage as well; but the only solution I had found was to tape a metal lid to the tops to prevent chewing. Not an attractive option! These heavy glass bottles are perfect! They are chew proof and thanks to the little duck inside, it's easy to tell when they need a refill! Thanks for a great product! This is the answer to water problems!! Great way to water small parrots. Water stays fresh and clean. Have many pairs, use this in all our cages. We love this product. Great products at the best price I have found. I ordered several things and am happy with all that I ordered. I will be ordering again. 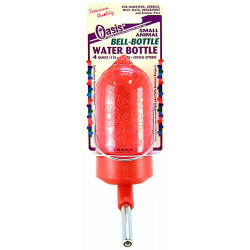 I wanted a bottle that I could leave full for a long time without worrying about the plastic effecting the freshness of the water. I'm not sure if that's ever an issue but I know this did the trick!